1 How Yahoo Safe Search works. 2 What is Yahoo Safe Search? 3 How do I turn On Yahoo Safe Search? How Yahoo Safe Search works. Yahoo is a very popular Email service that I think everyone should know about. Apart from the Email service that yahoo offers, it also features a search engine which stands out amongst others due to its simple interface and rich results. Users of this ultimate search platform ‘’Yahoo’’ may at some point, come across some results which may be a bit vulgar, obscene and adult oriented. Such results may turn out to be a bit inappropriate for some users and distract them. If you are one of those persons who does not like seeing such content while browsing the web, you can enable Yahoo Safe Search. This method will not display content which is adult oriented. Have you ever been surfing on yahoo’s search engine only to mistakenly see an explicit content? content that you don’t like? I have also been in that shoe too. Yahoo safe search offers total freedom from inappropriate content while surfing on ‘’Yahoo search’’. For parents that give their kids access to their PC’s and mobile devices, I’d suggest you turn on yahoo safe search. What is Yahoo Safe Search? You may be wondering, What is yahoo safe search? How does it really work? What kind of explicit content gets hidden? How do I turn on Yahoo safe search? Well, Yahoo Safe Search is simply a setting where you are displayed with only those results which are appropriate for the users of all ages. For the Yahoo users who are below 13 years of age, the SafeSearch feature is enabled by default. But if you want to enable it for your own account, you can choose the option to do so. But you need to remain logged in to your Yahoo account to enable this feature. This ensures that adult content is not displayed while you search for a term on Yahoo. How do I turn On Yahoo Safe Search? You can enable this feature on any device you are on. Open the Yahoo search web page and make sure that you are logged in to your account. Hover over the gear icon and select the Preferences option. Here you can see a Yahoo Safe Search option right next to which you can find a drop-down menu. In the drop down menu, you can choose the option to be either Strict, Moderate, or Off. In the strict option, it blocks web pages, videos, and images while in the Moderate option it does not filter the web pages but only images and videos. You can also lock this setting by clicking on the lock Safe Search button. Finally clicking on the Save button saves your search preferences. Note: After you have turned on the Safe Search feature for an account, it remains the same on all the devices you use to access the account. 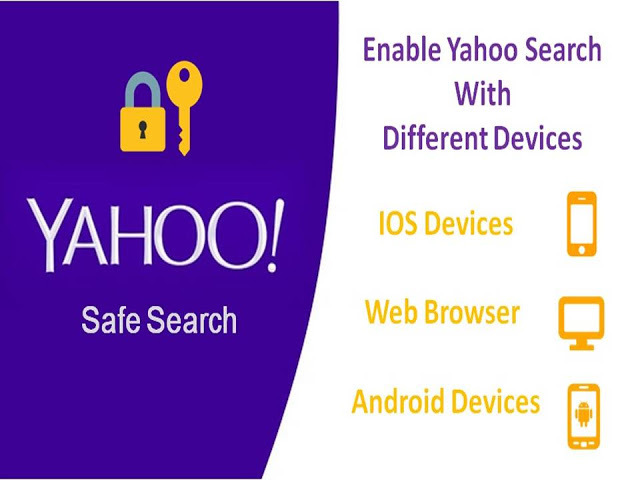 In case you no longer have access to your PC, you can also turn on yahoo safe search using your Android device. For this, you need to open the Yahoo Search home page in your mobile browser. Make sure that you are logged in to your Yahoo account. Then click on the Settings link and change the Yahoo Safe Search setting to either Strict, Moderate, or Off as per the requirement. Then finally clicking on the Safe button saves your preferences. You can also use either your iPhone or your iPad device to enable the Yahoo Safe Search feature. Open the Yahoo login page on your mobile browser and log in to your account. Open the Yahoo search page and click on the settings icon. In Yahoo SafeSearch option, select the option Strict, Moderate, or Off. Finally, click on the Safe button and save your preferences for future. To be honest with you, I fell in love with this feature the first time I discovered it, Yahoo safe search is simple to use, just activate and let Yahoo safe search do its magic. Note: You do not need to enable yahoo Safe Search feature on every device you use. Just enabling it on one device will enable it on other devices as well. But logging into the device with your Yahoo mail account is quite necessary. Angela George is a passionate author for yahoo support who has knowledge about Yahoo features and its implementation. Her writing can help users to resolve any kind of Yahoo problems without any delay. Yahoo Safe Search! Something like this provided as a feature by Yahoo? I wasn’t new about this. Thank you so much for sharing this here as an adult content filter is a must. Shared article is very informative. Thanks For Sharing information related to yahoo email. Thats fine if I need to enforce this on just a few machines. I work in an educational domain of 25,000 devices. I need a DNS entry option like bing and google offer, or I am going to block all of yahoo. Does anyone know if this exists? I have been looking and I cannot find anything, makes me think it doesnt exist.